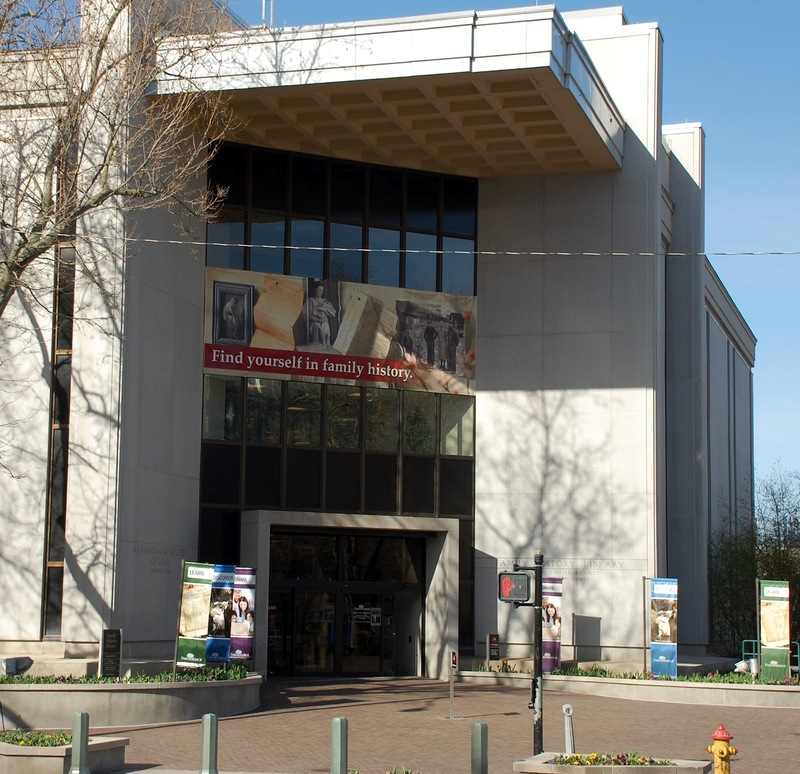 The Family History Library in Salt Lake City, Utah is a dream destination for many genealogists, including me. I have often read about the wealth of materials there. When my husband decided to ski in Utah this year I was interested. Because I do not ski I usually stay at home when he heads west to ski. Recently when he gathered his poles & skis I tagged along. When my husband, our daughter and my brother headed to the slopes each morning I climbed into our rental jeep and drove into the city. My plan was to discover more about my Irish roots before my upcoming trip to Ireland. Books, journals and websites suggest you find out as much as you can about your Irish family before heading to Ireland. The Family History Library, I have read, contains many sources for Irish research. To prepare for both my Utah and Ireland trips I reviewed my data and sources for each of the family branches I hope to learn more about: Brady, Coyle & Mullane. I prepared ‘Quick Notes’ on each of those three branches, condensed into two or three sheets of paper that I can easily carry along with me. 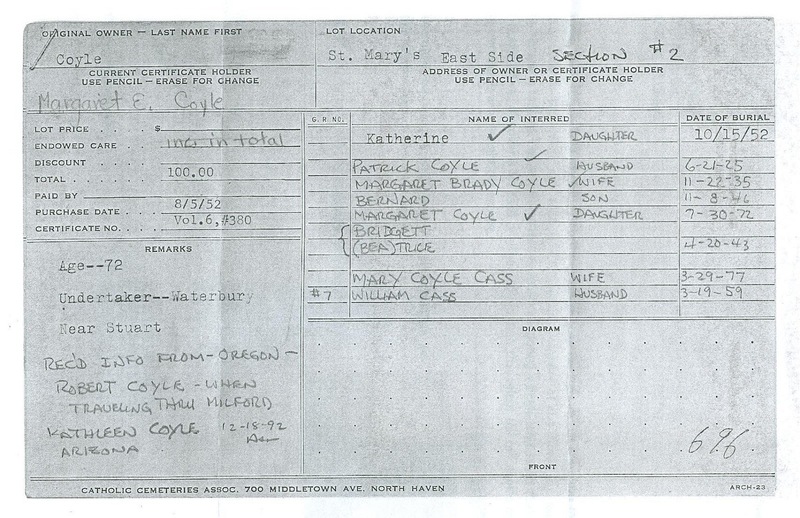 They include basic information including sources, a time line that includes the family’s movements over the years and a list of questions I’d like answered. I also have an iPad with the ancestry app which links to the Family Tree Maker 2012 program on my home laptop. I find it much easier to travel with my lightweight iPad rather than my laptop. And, if technology should fail, I have my “Quick Notes’. On my first morning in Utah I was nervous as I navigated our rental vehicle from Park City, up and over the mountains, to Salt Lake City. I quickly found inexpensive parking near the library, grabbed my shoulder bag full of information and walked the wide, clean sidewalks to the library. 1. I did not have to sign in as I entered. 2. I did not have to put my jacket, shoulder bag or anything else in a locker. 3. There were many more young people there than I usually see at libraries & archives. I had printed out a copy of the library’s floor plan from the website. I knew I wanted to head down to the second basement for British/Irish research. A very friendly floor manager walked right over to me as I stepped off the elevator. He was delighted to discover it was my first day in Utah and offered to lend a hand. However, once he heard I was doing research in Ireland, beginning with my Mullane family in Clonmel, County Tipperary, his smiled dimmed. He passed me on to someone else saying, “It’s her first day In Utah. 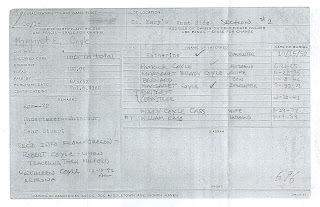 Let’s see if we can help her.” She looked at my Mullane ‘Quick Notes’ and decided I should begin with a search for the 1866 marriage record for Daniel & Brigid (English) Mullane. While it was nice to view & copy the record it yielded no new information. 1. There are, on each level, vending machines that you use to purchase copy cards valued at $2, $5, $10 or $20. (8 ½ x 11 copies are 5 cents.) You need coins or bills to purchase these cards. 2. Signs on these vending machines say credit/debit cards will soon work in these machines. 3. Once purchased you simply swipe your card at the copier. 4. There are several copiers on each level. 5. Notices say you can only make 5 copies at a time if people are waiting. While I was there this was not an issue. There were enough machines to keep everyone happy. I was not aware that I could have taken along a flash drive and copies images directly onto the drive. That would save steps if you plan to scan your paper copies. 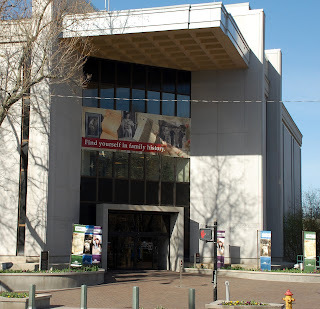 In general I found that I was prepared for my visit to the library, although I would have taken along a flash drive if the website had given me more information on the procedures at the library. The library was nicely organized and the staff was very friendly and ready to offer help. Sepia Saturday: "Using Old images as prompt for new reflections." 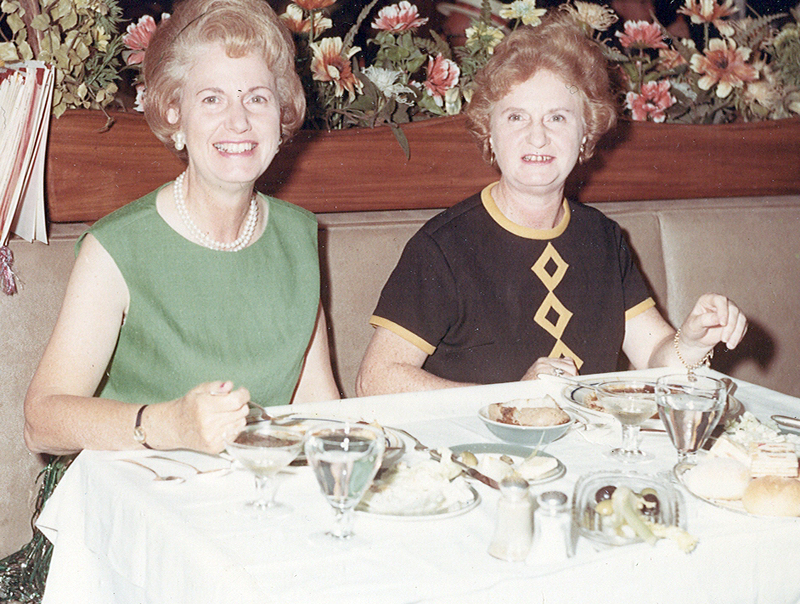 The Coyle sisters, Kathleen, Lillian & Marguerite, took many trips to places like, Japan, South America and Ireland. They always dressed well for their outings with fashionable clothes and good jewelry. They were unmarried, professional working women with money to spend on themselves. Perhaps I get my love of traveling from my Coyle roots. I will be thinking of my grand aunts during my upcoming trip to Ireland, although I sure they would not approve of the casual way I plan to dress, especially for the long plane flight. Happy St. Patrick’s Day from someone with Irish roots, a face full of freckles and a birthday… today. I have always felt my strongest family connection is to my Irish families. Perhaps it is because I heard wonderful stories about the Coyles from my mother and her mother when I was a little girl. Perhaps it is because of my red hair and freckles. I cannot deny the connection. 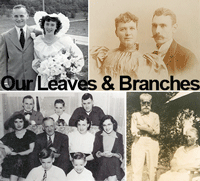 I recently finished writing a book on my father’s mother’s family. 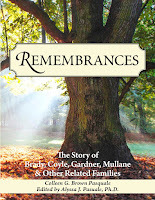 Now I am turning my attention to my Irish families: Coyle, Mullane, Brady & more. Here’s the exciting news: I am going to Ireland! After years of dreaming about this, my oldest daughter and I have our tickets! We are going in early April. It will be an adventure. Despite never being there before (I have never been in Europe.) we are not taking a tour. We want to see some of the popular tourist attractions but we also want to see where our family came from. We have our airline tickets & a rental car all set. Clonmel, County Tipperary was the home of the Mullanes. My great grandmother, Mary Jo Mullane, lived there until 1885 when she sailed from Cobh to New York City. We plan to visit both Clonmel & Cobh. County Cavan was the home of the Coyles and the Bradys. I am still nailing down the sights we will see there. We will also visit Dublin, Waterford, Blarney Castle, the Ring of Kerry, the Aran Island & more. My daughter & I are gathering maps, travel books, internet information, booking hotels & writing an agenda. Do you have travel tips? Do you have a suggestion on a place to visit, eat or stay? We would love to hear form you. This week's Sepia Saturday topic is Scouts due to the March 12th 100th Anniversary of the Girl Scouts and the recent 100th anniversary of the Boy Scouts. Go to Sepia Saturday to see more related photos. On March 12th I posted a photo to celebrate the 100th Birthday of Girl Scouts. Today I dug out these old post cards. 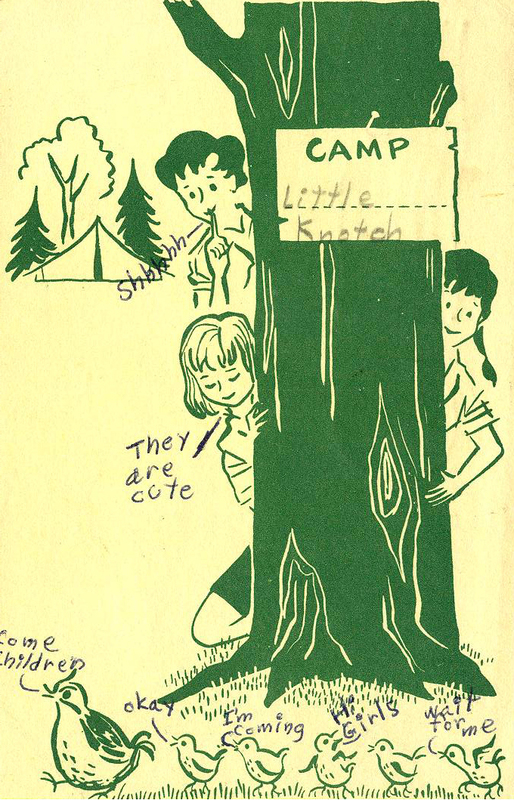 In August 1964 I mailed these post cards home from camp. 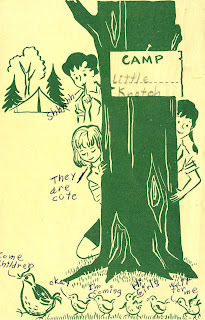 I was away at Camp Little Notch, Fort Ann, NY, sleeping in tents, cooking over campfires, boating, making crafts and hiking. There was a room in a cabin where we could buy postcards, stamps and other trinkets. I bought these cards there and mailed them to my parents and my brothers. They have 4 cent stamps! Friday we had a cookout. We had: coco, toss salad, shaggy dogs & spaggetti. I know you don't like Girl Scouts but you would like it here. It is funny to see what my younger self wrote home. Let's hope Girl Scouts & Boy Scouts continue to bring new experiences & happy memories for many more years! 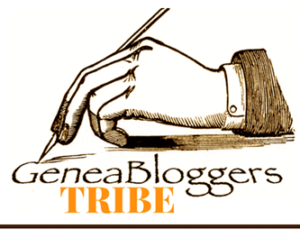 Tombstone Tuesday is a blogging prompt at Geneabloggers. The suggestion is to post a photograph(s) of a tombstone(s) and tell a little about the tombstone or the ancestor. In the summer of 2009 my daughter and I took a vacation through New England states, driving and enjoying beaches at sunset, delicious lobster rolls and photogenic light houses. Fortunately my daughter understood that I could not pass close to Milford, CT without stopping at St. Mary’s cemetery. We could not find an office or even a sign for the cemetery. I hoped to find my great great grandparents, Patrick & Margaret (Brady) Coyle, both born in Ireland, and perhaps other family members. The day was warm and clear. We divided up and began walking up and down the rows of headstones. 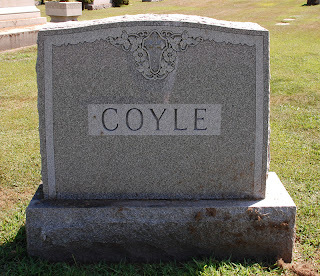 It did not take long to find the Coyle tombstone. I was both happy and disappointed because although we found the stone, it told me nothing. There were no names or dates, only the word, Coyle. Later, a letter to St. Mary’s cemetery resulted in a copy of the cemetery plot card and the information I had been searching for on that summer day. 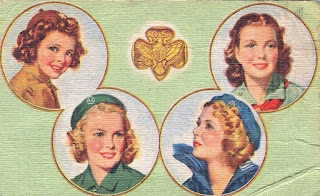 Happy 100th Birthday to the Girl Scouts! 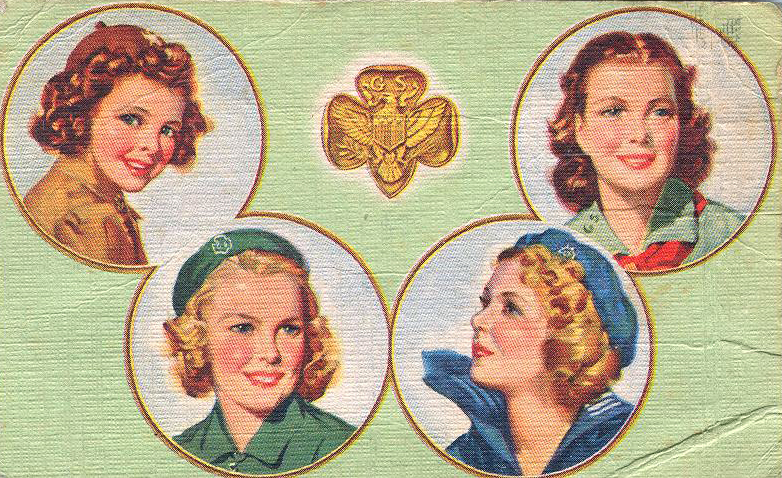 There have been three generations of Girl Scouts in our family: my mother, myself & my daughters. 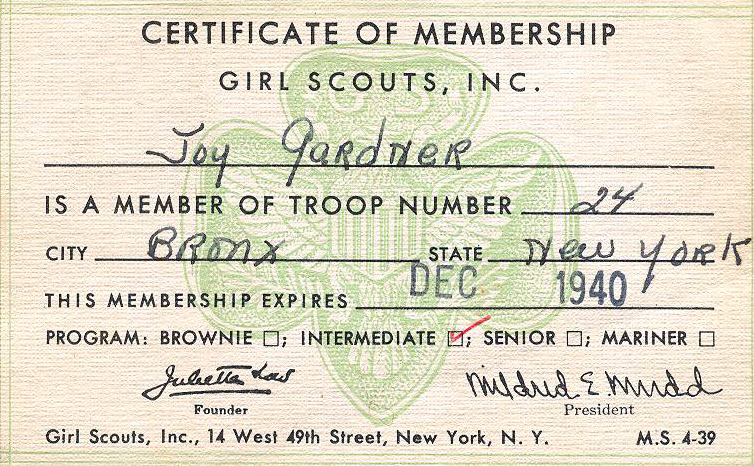 My mother was a Girl Scout in the Bronx. When I was little I was very shy & she hooked me up with the Scouts to help me make friends. 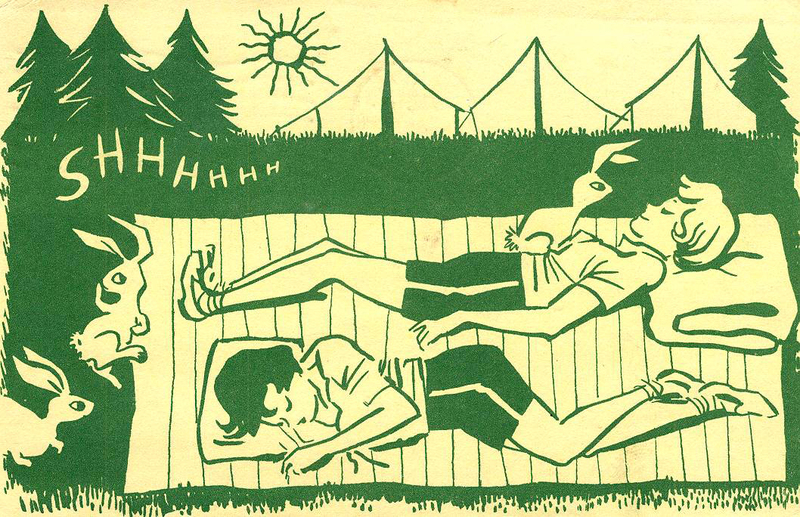 I have many happy memories of Girl Scout activities: crafts, badges, cooking, camping & making new friends. When I first sold Girl Scout cookies a box of cookies was 25 cents. 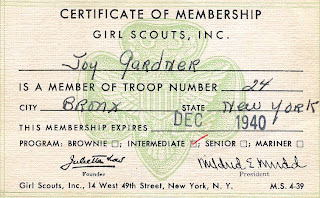 Membership in Girl & Boy Scouts, 4H & other clubs is great information for genealogies. 10 March 1898 Samuel Martin Jolliff, 1871 – 1927, & Margaret Maude Mark, 1881 – 1964 [daughter of William & Elidia Rebecca (Ritter) Mark]. Married in Ohio. 8 children. Samuel was a farmer. 12 March 1927 Howard Merton Hurd, 1900 – 1973 [son of Roy & Mona D. (Morrison) Hurd] & Marian Louise Lehman. Married in Michigan. 2 children. They were married for 42 years. 16 March 1848 William J. Fortenberry, 1814 – 1896 [son of William Jasper & Violette (Kennington) Fortenberry] & Elizabeth Matha Ann Cutrer. 10 children. 24 March 1878 Leopold Gardner, 1860 – 1948 [son of Marcus & Laura (Harn) Gartner] & Florence ‘Fannie’ Edelstein. 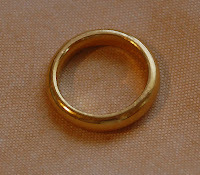 Married in Manhattan, New York City. They were my great grandparents. They were married for 30 years. The monogram on these stones is clear and attractive. On the top of these tombstones we can see the relationship on the people, Father, Mother, Daughter. This is very helpful for genealogists. 3 March 1916 Timothy J. Horgan & Julia Mullane, 1885 – 1918 [daughter of Daniel & Brigid (English) Mullane]. Married in County Tipperary, Ireland. 2 children. Julia was my great grand aunt. Their marriage was brief because of Julia's death at the age of 32. 4 March 1897 James Elmer Messmore & Emma D. Ritter, 1876 – 1969 [daughter of John William & Ruth Anna (Scott) Ritter]. Married in Ohio. 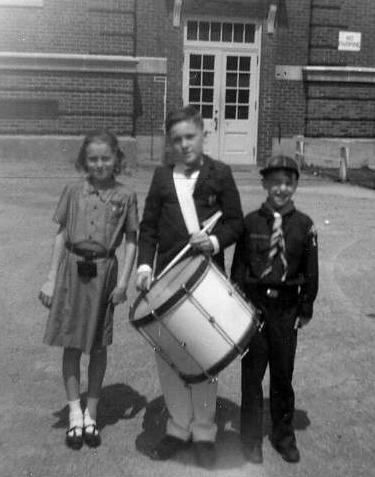 7 March 1946 James Sheppard, Jr. & Elnora Cutrer [daughter of Isaac Omer & Serena Olivia (Lee) Cutrer]. 8 March 1888 Philip M. Creasy, 1867 – 1934 [son of Christian & Mary (Wise) Gruissy] & Mary E. Wasem. 1 son. They were married over 50 years. 9 March 1947 William Alered Huff, 1926 – 1979, & Lucille Marguerite Mark [daughter of Charles Forest & Bertha (Flickinger) Mark]. Married in Ohio. Lucille was my 1st cousin, twice removed.